When one of your favourite indie bands signs to a major and one of your all time favourite artists releases an album it is always a worry that something might go horribly wrong. There was it turned out no need to worry and both Frightened Rabbit and Nick Cave produced albums of outstanding quality. 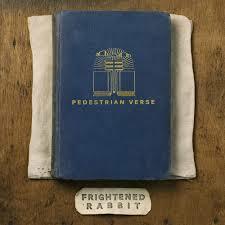 We normally wait until the end of the year to announce our best selling album of the year but this year Nick isn’t going to catch the FRabbits and the chasing pack aren’t going to catch Nick so we can with some pleasure say that are album of the year is Frightened Rabbit’s “Pedestrian Verse”.